Elegant and royal with just enough colour to steal the show. The Madison Bangle Bracelet features intricate filigree metal design against statement resin stones. Chic drama for your arm. 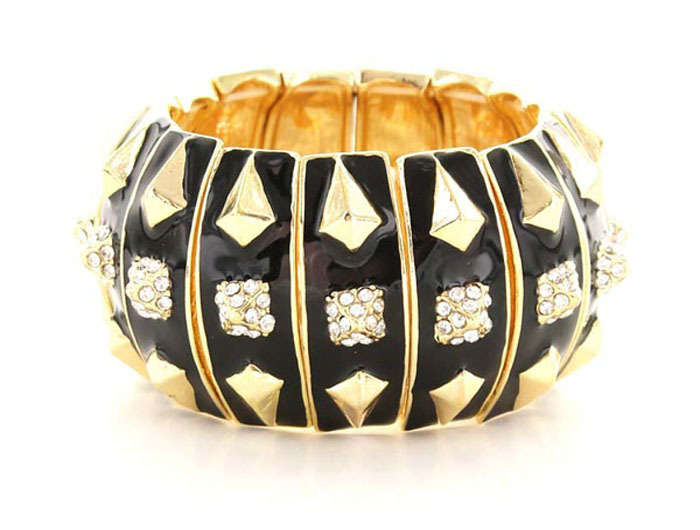 Buy this gorgeous piece of fashion jewellery online today and get fast delivery within days.